The Peppermill Hotel is a small, six-bedroom boutique hotel that is situated in the heart of Devizes. It has three King-sized rooms and three Super King-sized beds that can be split into a twin. Our beds are Hypnos Royal Lansdowne with Richard Hawthorn linen and towels. Longleat Hotels are an exclusive collection of opulent South West hotels and accommodation: The Bishopstrow Hotel and Spa, one of the finest luxury Wiltshire hotels; Homewood Park Hotel and Spa, a delightful Bath hotel and The Bath Arms Country Pub, Accommodation & Restaurant, a quintessentially British venue on the Longleat Estate. 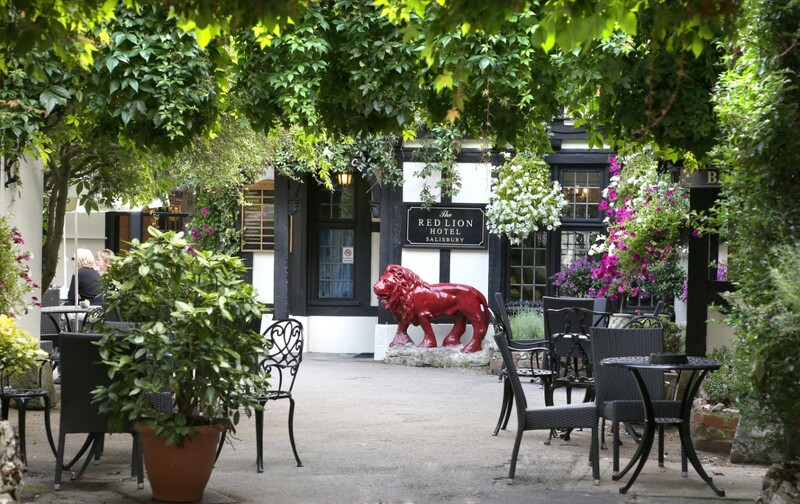 Originally built in 1896 as a private house, the Grasmere House Hotel, set in mature gardens on the banks of the Rivers Avon and Nadder, offers stunning views of Salisbury Cathedral. Just 10 minutes’ walk from Salisbury City Centre and 15 minutes from Old Sarum Airfield. For all GoSkydive customers we offer special discounts so call us today on 01722 338 388 and quote your reference number. Taylors Guesthouse has gone through extensive refurbishment and offers three guest bedrooms all with en-suite facilities. All rooms have flat screen HD TV's with built-in Freeview and high-speed Wi-Fi. 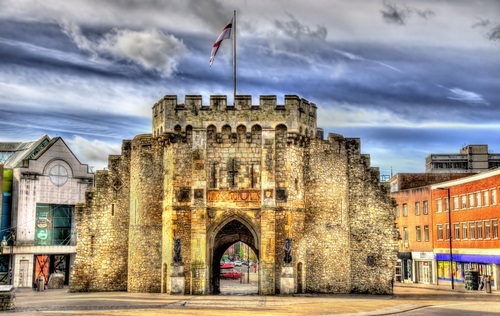 We are located in the very heart of the city of Salisbury only seconds from the medieval market square. Just 10 mins from Old Sarum airfield makes us an ideal choice for anyone jumping at GoSkydive. We have 60 stunning rooms all individual offering contemporary furnishings or classic four poster beds. We offer 10% off our best available rates to GoSkydive customers. Book with us direct on 01722 32 33 34, quote 'GoSkydive' and your reference number to claim your discount. 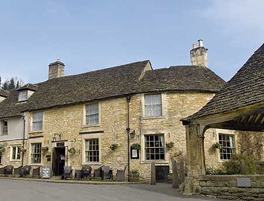 The Pear Tree at Purton is a family owned and run small hotel and restaurant nestled between the Marlborough Downs and the Cotswolds. It is the perfect place to relax, unwind and treat yourself and specialises in making memories. 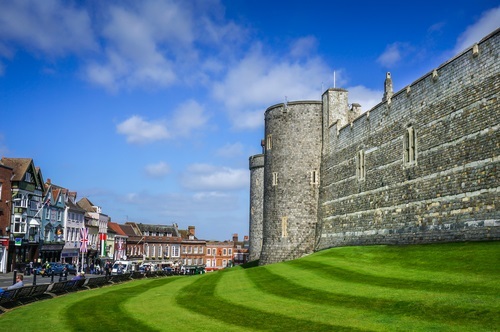 The Castle Inn Hotel can trace its origins back to the 12th century and many features of the original construction remain today. Recently the inn has undergone extensive restoration and great care has been taken to preserve yet enhance the charm of this beautiful and historic building. 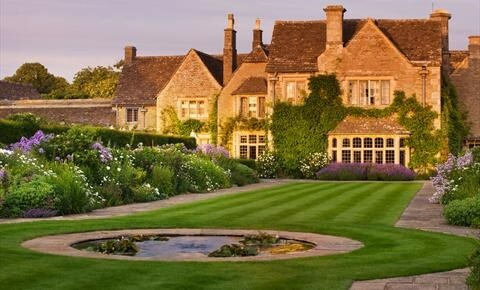 Nestling in North Wiltshire, this manor house hotel, made of splendid Cotswold stone, has the exclusive charm of a timeless, handsome private residence. The fine architecture, gardens and elegant terrace all contribute to the magical atmosphere of the setting. 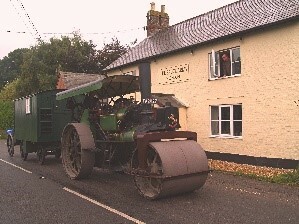 Dating back to 1919, The Bruce Arms, is a traditional pub located between the villages of Easton Royal and Milton Lilbourne, near Pewsey. 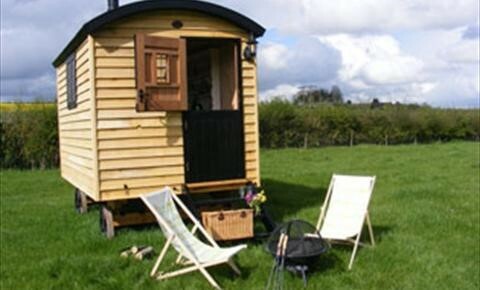 Enjoying its position in the heart of rural Wiltshire, it even has its own attached campsite. Enjoy the best of the beautiful British countryside from the comfort of a luxurious canvas lodge on this family-run, organic farm. Walk, ride, paddle, fish or just soak up the sun and the tranquil scenery. 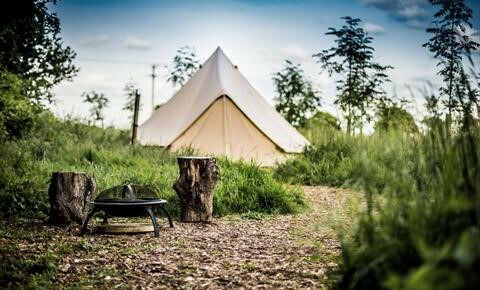 The Farm Camp is home to four large self-catered bell tents that sleep up to four in each. The Farm Camp is designed to make life a bit more simple, help you unwind and provide an unforgettable glamping experience. 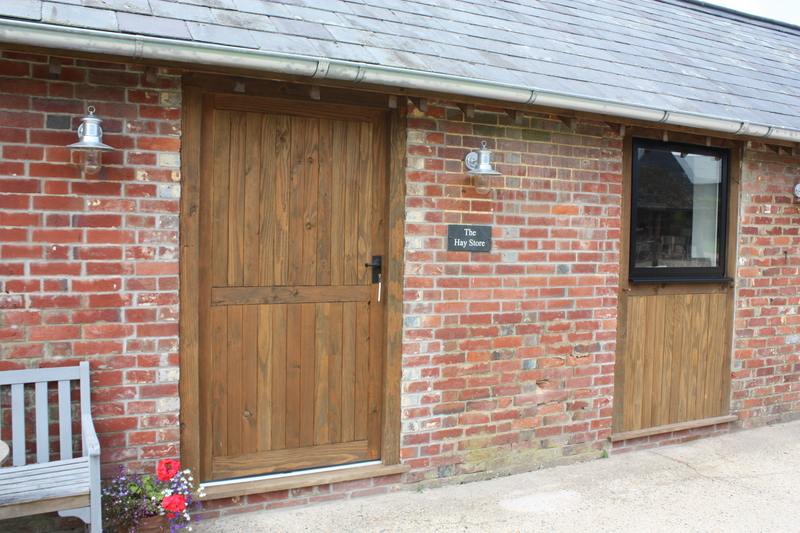 Kennel Farm Cottages offers two individual 'Barn Snug' units, 'The Hay Store' and 'The Stables' are perfect for two people. 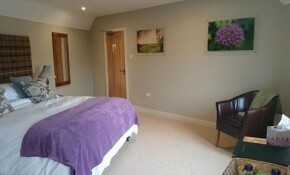 Both have a Kingsize bed, kitchen, living area and shower room. Tastefully renovated, this former block of stables offers snug and stylish accommodation for visitors. Cost is £90 per night self catering. 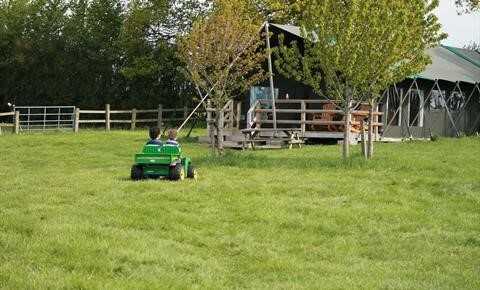 Guests come and go as they please, are welcome to walk the farm land and see the animals. 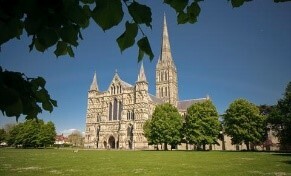 10 minutes from GoSkydive and also all the amenities of Salisbury City. 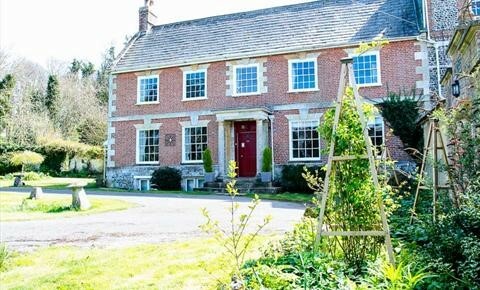 St Anns House is now recognised by the Wiltshire accommodation charter and is credited as the 'Top Choice' in The Lonely Planet Guide. 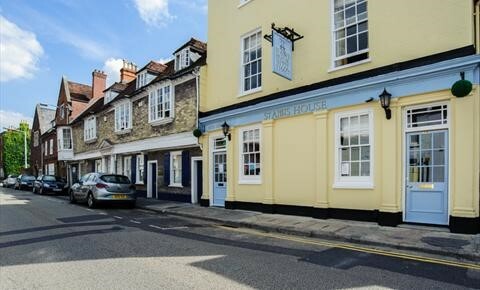 St Anns House is the only accommodation establishment in Salisbury to be featured in The Michelin Guide. 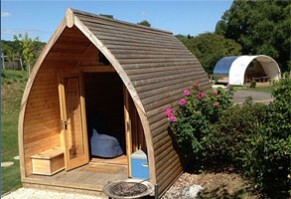 The first and only luxury glamping pods in south Wiltshire. The pods are fully furnished with: a double bed, heating, electricity, mini kitchen, electric fire, fridge, BBQ and picnic table (all you need is your own bedding). 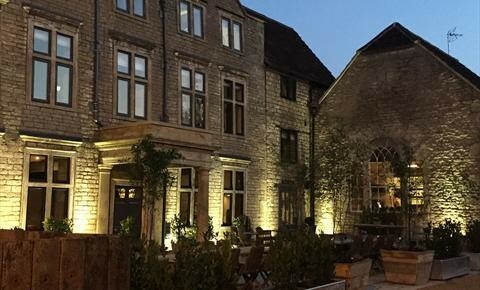 Timbrell’s Yard is a rejuvenated Coaching Inn, in beautiful Bradford-On-Avon, Wiltshire, with excellent dining and luxurious accommodation. 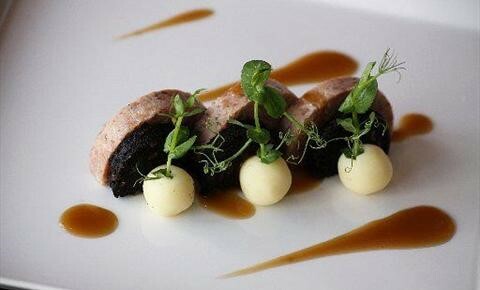 You can eat all day, every day, from our wonderful kitchen overseen by Tom Blake, group chef and ex River Cottage, and Ricky Ford, head chef and ex Gary Rhodes & The Museum Inn. 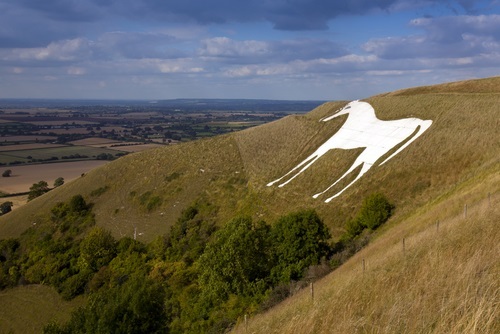 Discover everything the beautiful county of Wiltshire has to offer with Farm Stay, the UK’s largest network of rural and farm-based holiday accommodation. The centre of Swindon offers a fabulous mixture of shops. Many of these can be found within the Brunel Centre, an undercover area with over 100 stores, restaurants and cafes including House Of Fraser (Outlet), Marks and Spencer, Topshop, Waterstone’s and Cargo. 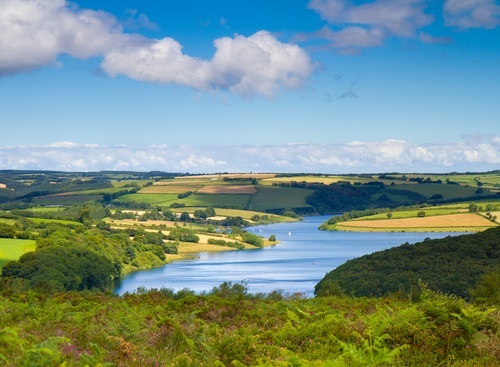 Stourhead estate on the Wiltshire-Somerset border is the perfect day out for everyone. 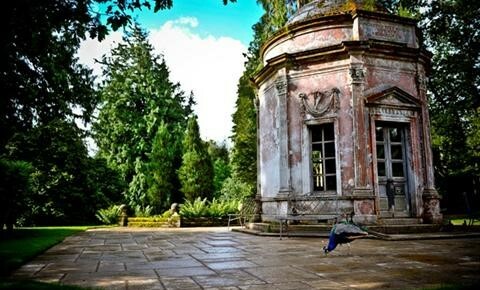 A breathtaking 18th century landscape garden with lakeside walks, grottoes and classical temples is only the beginning of the adventure in this amazing stately home. Set in the outstanding landscape of the Cranborne Chase, these beautifully laid out gardens were created by General Augustus Pitt Rivers in 1880. Originally designed as public pleasure grounds, the Larmer Tree is an extraordinary example of Victorian extravagance. The Salisbury Museum has now opened its new Wessex Gallery of archaeology, where the Monkton Deverill gold torc, the Warminster Jewel and the famous ‘Amesbury Archer’ are all on display. Stonehenge needs little introduction. It stands impressively as a prehistoric monument of unique importance and a World Heritage Site that is surrounded by remains of ceremonial and domestic structures – some older than the monument itself. 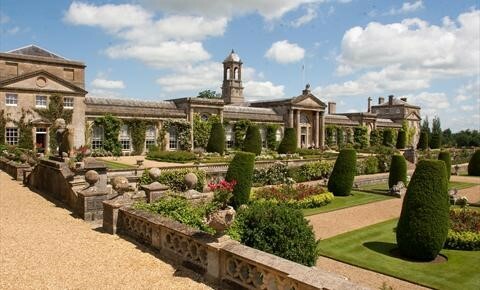 Bowood is the magnificent family home of the Marquis and Marchioness of Lansdowne. 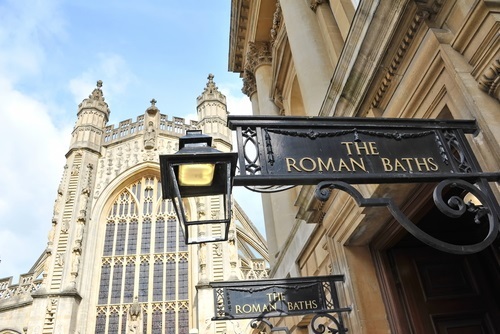 Interesting rooms include Robert Adam’s Library, the Laboratory where Dr Joseph Priestley discovered oxygen in 1774, and the Chapel that is still used for family services. 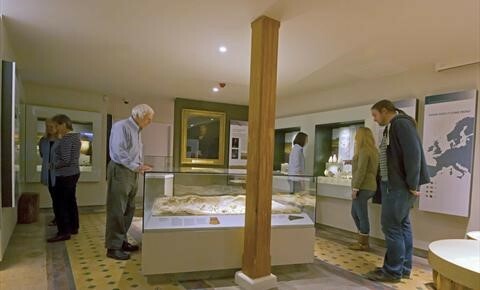 Wiltshire Museum is home to the best Bronze Age archaeology collection in Britain. 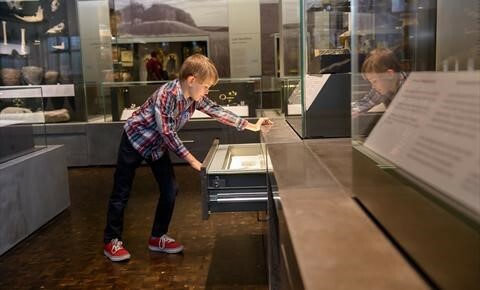 Explore the galleries, see the outstanding collections and find out more about the fascinating history of Wiltshire and its people over the last 6,000 years. 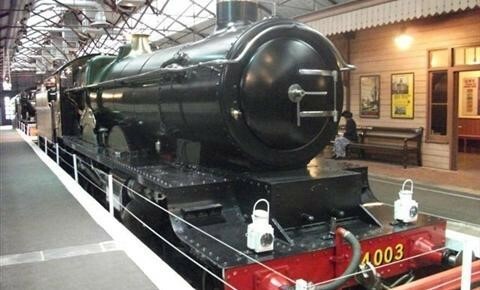 STEAM is housed in a beautifully restored Grade II railway building in the heart of the former Swindon railway works. Visitors can climb aboard famous locomotives, have a go at changing the signals, be an engine driver and even walk underneath the 80 ton Caerphilly Castle. Cheddar Gorge & Caves is a world-famous beauty spot that is not only a National Nature Reserve but also a famous site of prehistoric discoveries. Once an ancient river bed, its limestone cliffs and beautiful caves are now home to rare bats, dormice, water voles and peregrine falcons. 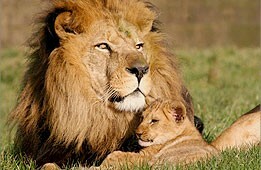 Opened in 1966, Longleat was the first ever Safari Park outside of Africa. Your drive-through safari adventure will take you unbelievably close to magnificent animals that you’ve only ever dreamed about or seen on TV. 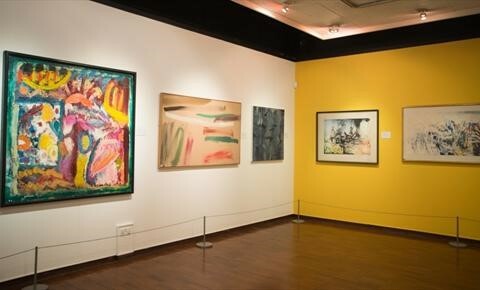 Swindon Art Gallery has one of the most important collections of modern British art in the country. It features impressive and thought-provoking works by some of Britain’s finest modern artists, including Lucien Freud, Leon Kossoff, Frank Auerbach, Alfred Wallis and LS Lowry, alongside an important collection of studio ceramics. 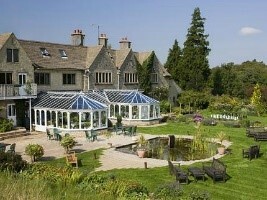 Rollestone Manor is a Grade II listed building dating back to the 13th Century. 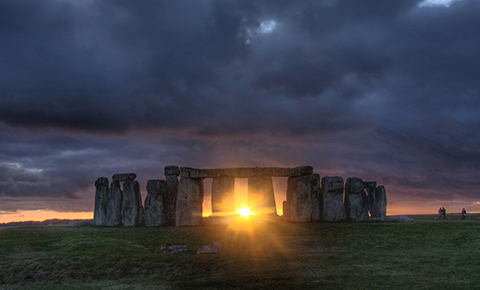 Stonehenge is just a six-minute drive away and the manor has seven en-suite rooms. Sample the delights and discover the history and heritage of Wadworth brewing. 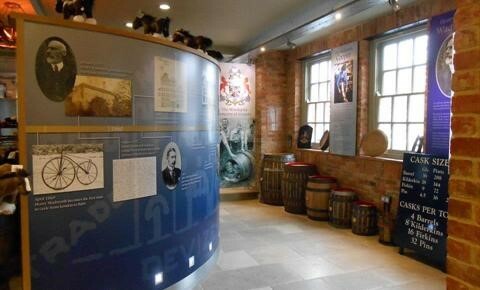 The visitor centre features an exhibition of Wadworth brewing memorabilia, an insight into ‘A year in the life of a Wadworth Shire Horse’ and a fully stocked sample bar & gift shop. People have been travelling to the Charter Market of Salisbury for hundreds of years. 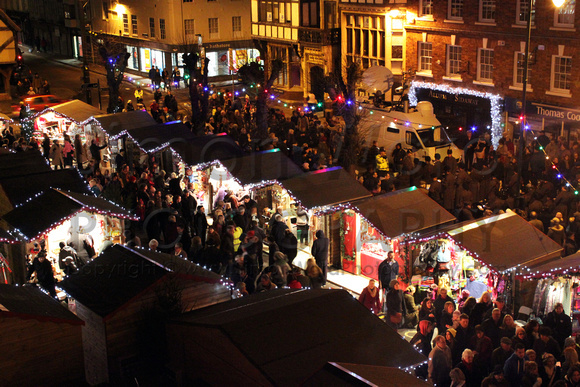 Held twice a week, it fills the Market Place with stalls selling a huge array of goods including fresh produce, clothing and household items. There is also a fortnightly farmers’ market regular and vintage markets. As one of the finest medieval structures in the world, Salisbury Cathedral is a spectacular building that includes the tallest spire in Britain at 123m. 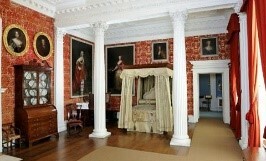 Lydiard Park is the ancestral home of the Viscounts Bolingbroke. 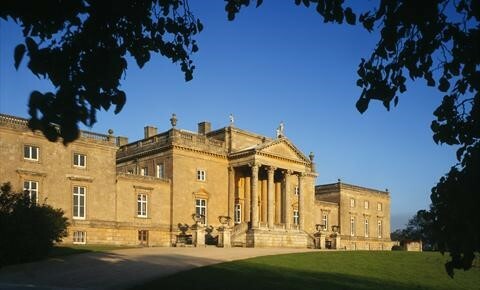 The Palladian house, beautiful church, walled garden and formal parkland are the striking remains of a great country estate. 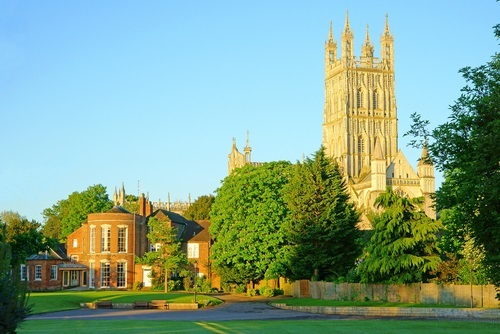 Marlborough sits in the north east corner of Wiltshire and is the archetypical English market town. 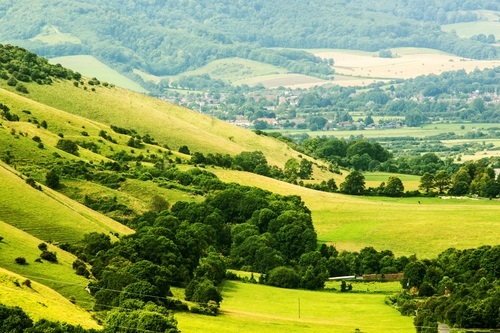 Take some time out and escape to Wiltshire this year. 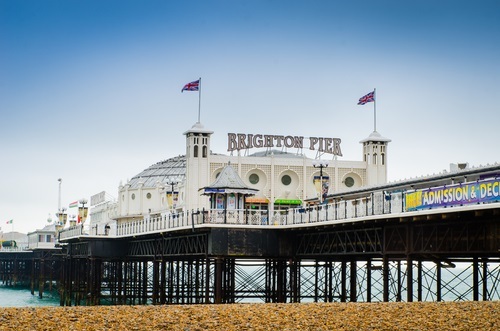 Find out more about this mysterious and beautiful region of the UK, let us be your guide for all the information you need. 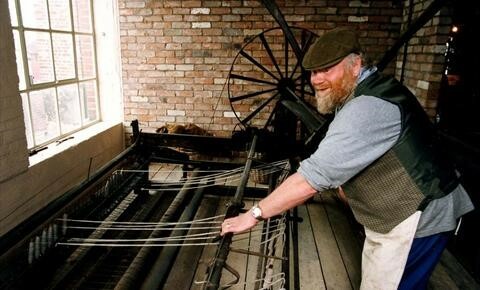 Housed in a former woollen cloth mill, the museum tells the story of the importance of the textile industry to the region and displays include working textile machinery, a weaver’s cottage and local history displays. 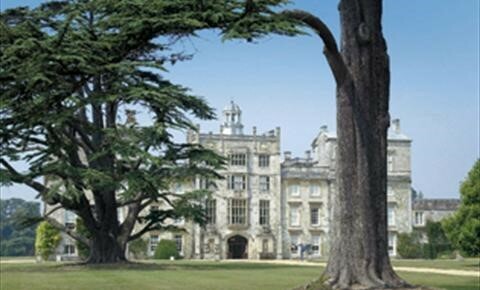 Lucknam Park is a magnificent listed Palladian mansion set in 500 acres of extensive parkland. 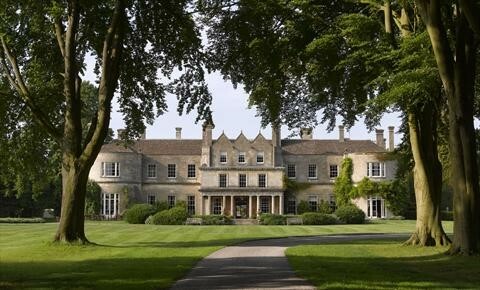 Dating from 1720, Lucknam Park nestles peacefully in a tranquil corner of Southern England just six miles from the World Heritage Site of Bath. 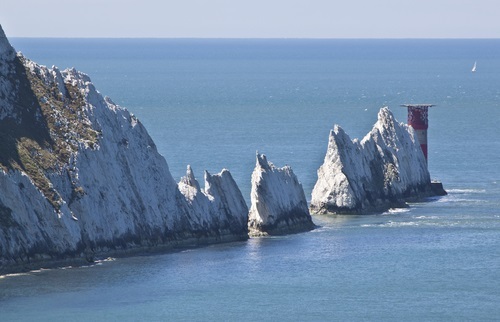 GoSkydive is close to the Dorset border so Poole is not a great distance away. Approximately 1 hour by car. 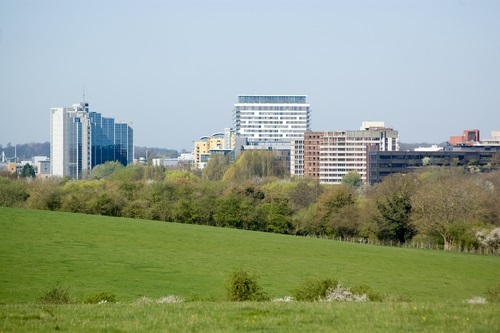 Basingstoke is an easy car journey of less than an hour to GoSkydive. 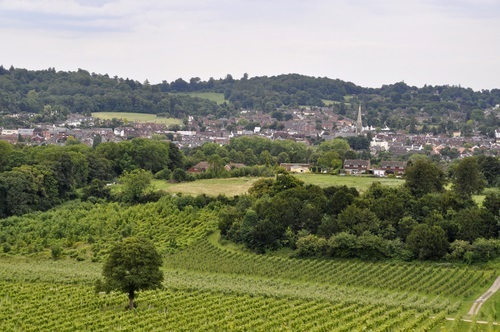 Leave the M3 at junction 8 and head across country on the A303 towards Salisbury. Alternatively take South West trains directly to Salisbury. GoSkydive is located in Salisbury not far from the Hampshire border and is under an hour from most Hampshire Towns. 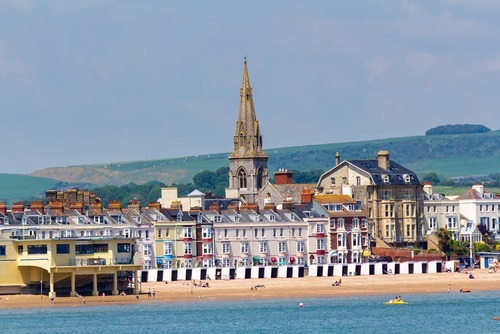 The Isle of Wight is not far from GoSkydive. Once across the water an into Southampton it's just a short car journey down the M27 (West) and then off at junction 2 taking the A36 and Salisbury. 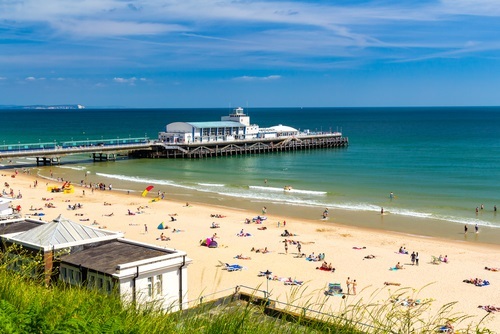 Bournemouth is just 49 minutes away from GoSkydive. 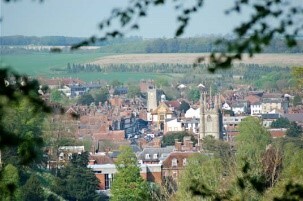 From Ringwood take the A338 to Salisbury and we are located to the north of the city at Old Sarum Airfield. From Chichester to GoSkydive by car it is approximately 90 minutes. The journey is straight forward enough, taking the M27 west to junction 2 and then heading up the A36 to Salisbury. If you are on holiday or live in Weymouth, GoSkydive is a great choice for an adrenaline filled day. 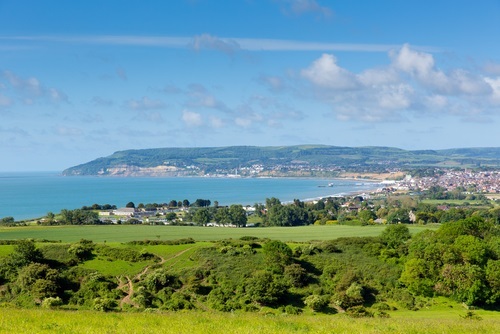 Just over 2 hours away by car it is easily accessible from the M27 (west) and the A36. By car from Southampton to GoSkydive is approximately 40 minutes. There is also a direct train from Southampton Central to Salisbury. We are a short (10 minute) taxi ride away at Old Sarum Airfield. Just an hour from GoSkydive, guests from Reading can reach us via the A34 or A303. 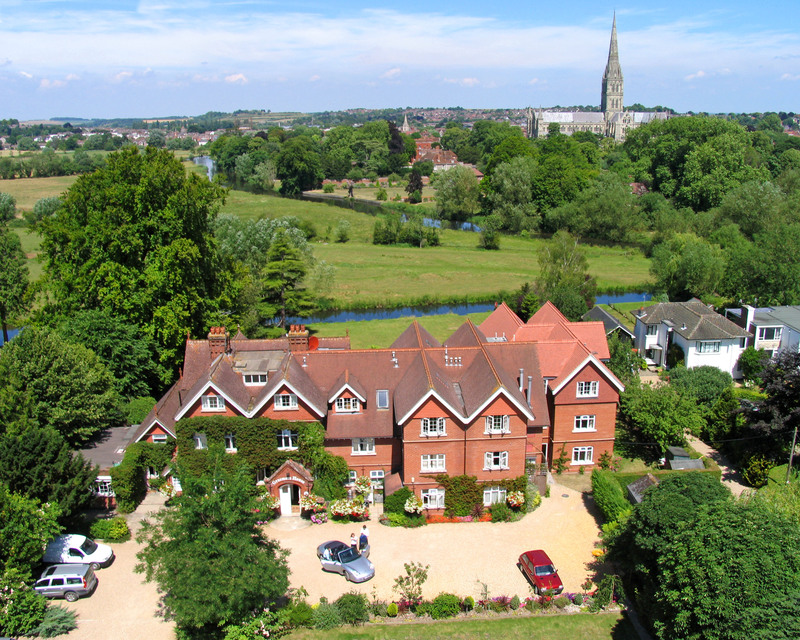 There is also a direct train from Reading to Salisbury and GoSkydive is just a short 10 minute taxi ride away. Located in Salisbury, Wiltshire, GoSkydive offers not only an awesome skydive experience but the flight -up often includes views of some of the world's most pre-historically significant sites including Stonehenge and the Iron Age Hill Fort of Old Sarum. 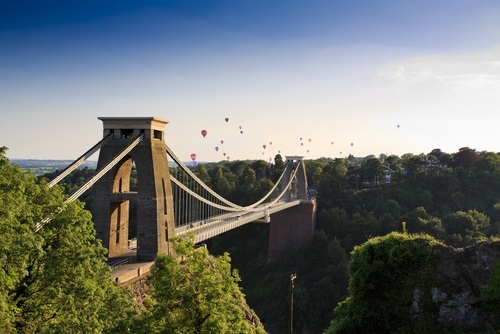 Bristol to GoSkydive is approximately 90 minutes by car. Alternatively there is a direct train to Salisbury station which is just a 10 minute taxi ride from the airfield at Old Sarum. 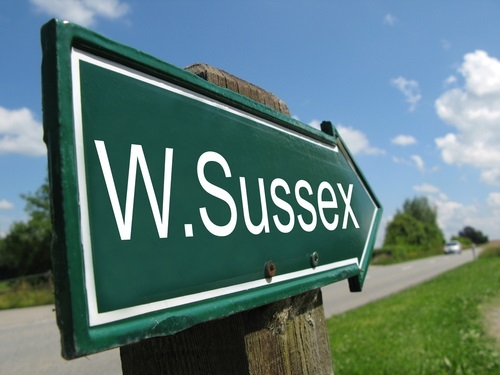 West Sussex is approximately 1hr 45mins from GoSkydive. By car it's an easy journey via the M27. From Brighton to GoSkydive it is approximately 2 hours by car. You'll take the road west along the coast and then join the M27 and continue west. At junction 2 exit the motorway and join the A36 to Salisbury. From central Sussex it is approximately 2 hours to GoSkydive. Heading west along the coast passing Worthing and Chichester join the M27 to junction 2 and then head to Salisbury down the A36. 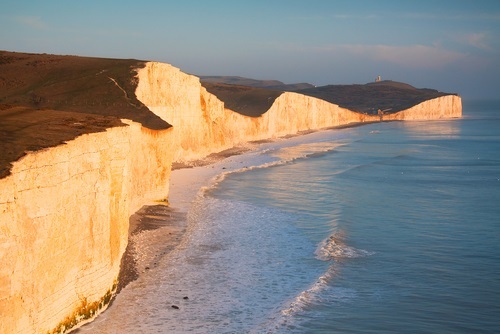 From East Sussex (Lewes) GoSkydive is just over 2 hours by car. Heading East along the coast join the M27 and continue until junction 2. Next take the A36 to Salisbury, GoSkydive is to the north of the city at Old Sarum Airfield. 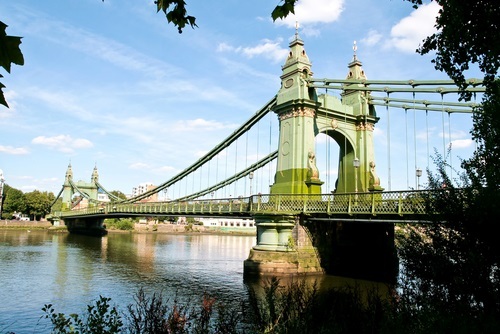 South West London is just 90 minutes from GoSkydive. 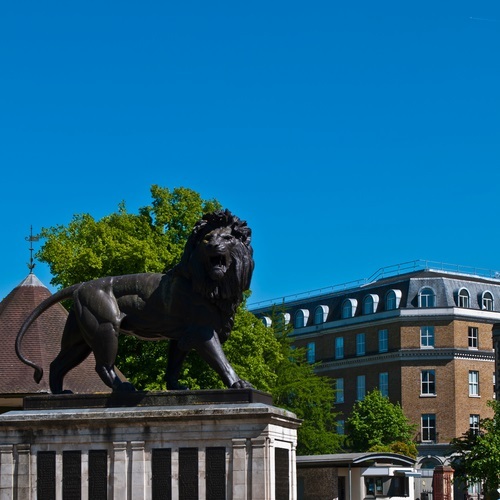 The M3 is easily accessible from Richmond, Teddington and Chiswick. Leave the motorway at junction 8 and head across country down the A303 to Old Saurm Airfield, North Salisbury. From Gloucester to GoSkydive it is approximately an hour and 40 minutes. The journey by car is pretty straight forward heading south to Cirencester, Swindon, Marlborough and onto Salisbury. 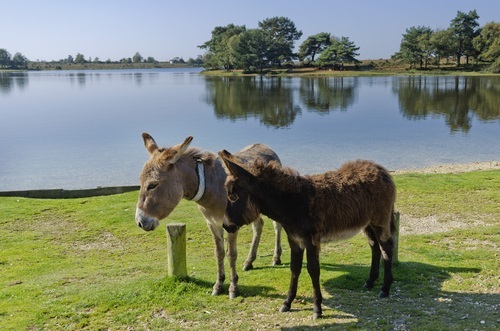 If you live or are on holiday in the New Forest, GoSkydive is under an hour away and is a great choice for a day out. 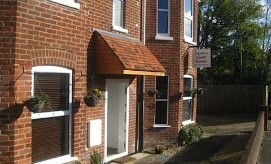 Depending on your location you may head across country from Ringwood to Salisbury on the A338. Alternatively you'll want to Join the M27 and head east to junction 2, from here take the A36 to Salisbury. Berkshire and North Hampshire are in easy driving distance from GoSkydive. 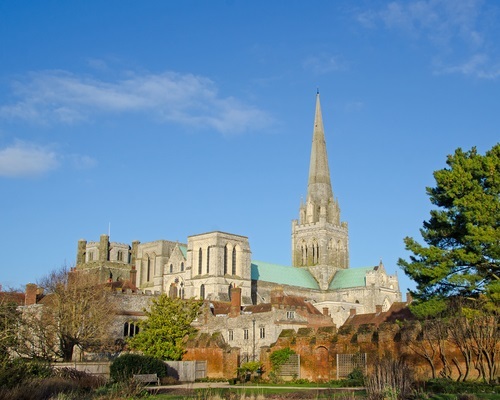 Reach us by car in less than an hour, head south down the A34 and take the A303 to Salisbury. GoSkydive is just an hour from the city of Bath. By car take the A36 towards Salisbury. There is also a train direct to Salisbury Station which takes 90 minutes. GoSkydive is a 10 minute taxi ride away. Somerset to GoSkydive is approximately 90 minutes depending on your location. Take the A303 east towards Salisbury. 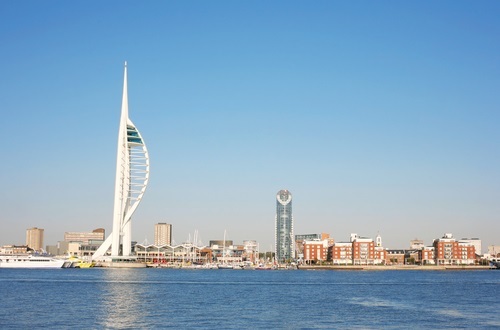 The naval city of Portsmouth is just under an hour from GoSkydive. By car take the M27 to junction 2 and then take the A36 to Salisbury. Follow the signs to Old Sarum and we are located at the airfield. From Surrey take the M3 to Winchester, exit at junction 8 and head across country down the A303. Depending on your location in Surrey, GoSkydive is approximately 80-90 minutes away. 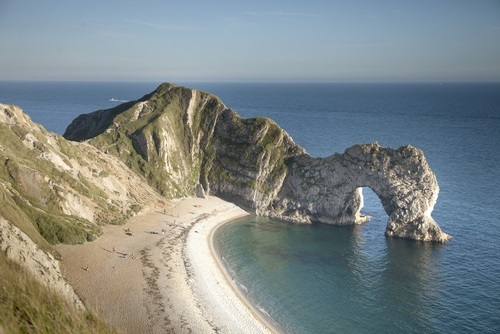 Located in Salisbury, GoSkydive is very close to the Dorset border. From Weymouth, Dorchester and Blandford Forum take the A354 to Salisbury. All of these towns are between 40 and 70 minutes away.